Burt Wonderstone, Don’t shoot me—I really laughed a lot! I wasn’t totally surprised that Burt Wonderstone didn’t do huge business at the box office. I AM a little surprised that it tanked as badly as it did. A Will Farrell movie that was missing Farrell—-I think that description that has been flying around really sells the stars short. I am no big Steve Carell fan either! I was in Europe when it was released and just caught it this week and I laughed a lot. I thought it was well written and packed in a lot of laughs. I also thought it was a pretty darn accurate look at many of the underlying quirks in the magic world. As a long term resident of Vegas and an unbelievably long term magician, I just can’t think why it was received in a relatively luke-warm manner by the magic world. I thought there was a lot of sophisticated insight going on under the gags. What were magicians expecting? Did it underline some of the more pathetic qualities that so often plague members of the community? What was the problem, it kept the laughs moving nicely and delivered (I suspect) exactly what the writers were going for. Count me surprised–of course I really didn’t enjoy ‘The Illusionist’ or ‘The Prestige’ very much and found them both pretty bland and boring. They were, however, more flattering to an amateur (sorry, hobbyist) magician’s self image! ~ by Nick Lewin on March 28, 2013. 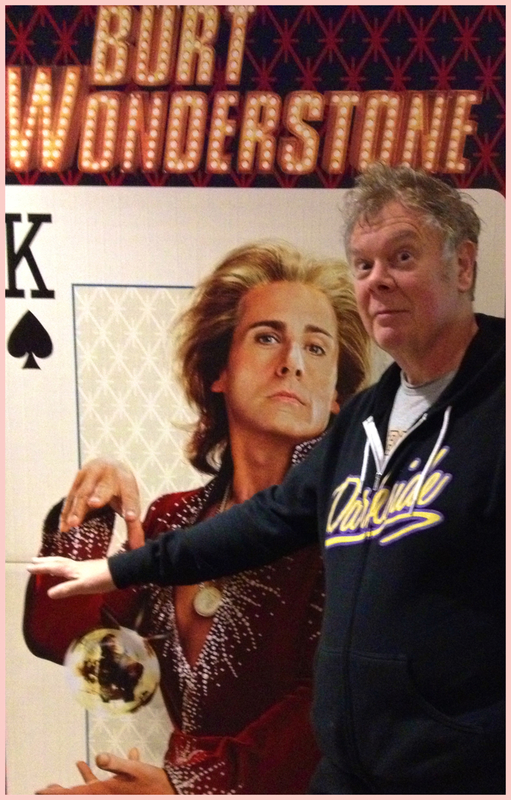 I am NOT a magician, but as a Vegas/LA resident and spouse of a magician for almost 40 years, I thought the screenplay nailed it. What was not realistic? Olivia Wilde. Why would such a beauty settle on Burt? Really captured the childlike and immature petsonaluty traits of the pro magician, along with their never ending love of magic.Ten plus if you are a pro living in Vegas. I knew how the movie would play out and where all the characters were going to end up and it took me out of the movie, even if I did laugh a couple of times. Not too many. Good review.